At Mantra, we love collaborating with like-minded people to create exciting new designs. 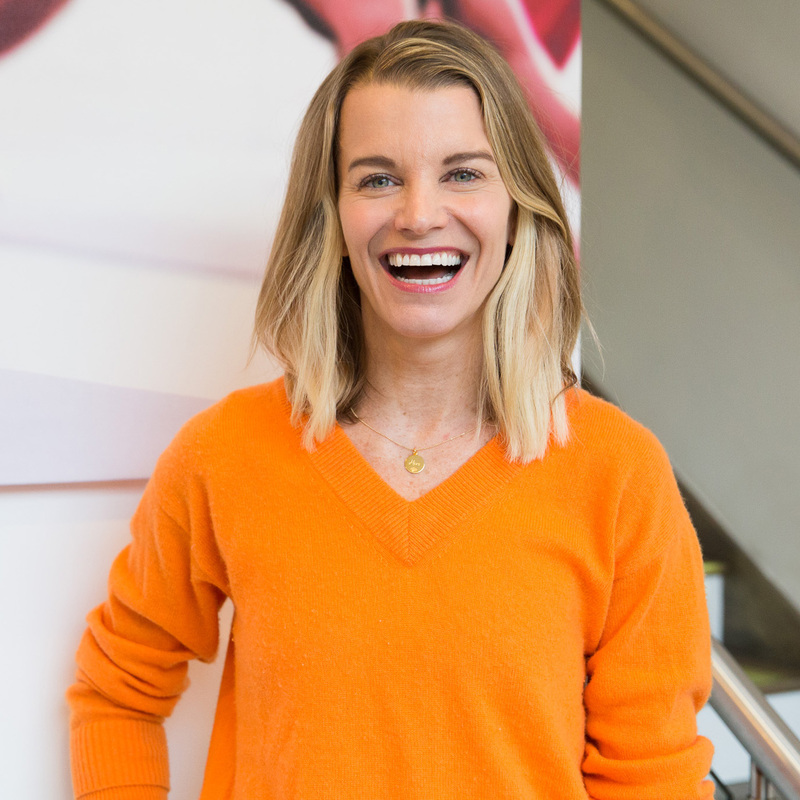 And we’re very excited to be working with a genuinely inspirational lady - Julie Montagu. 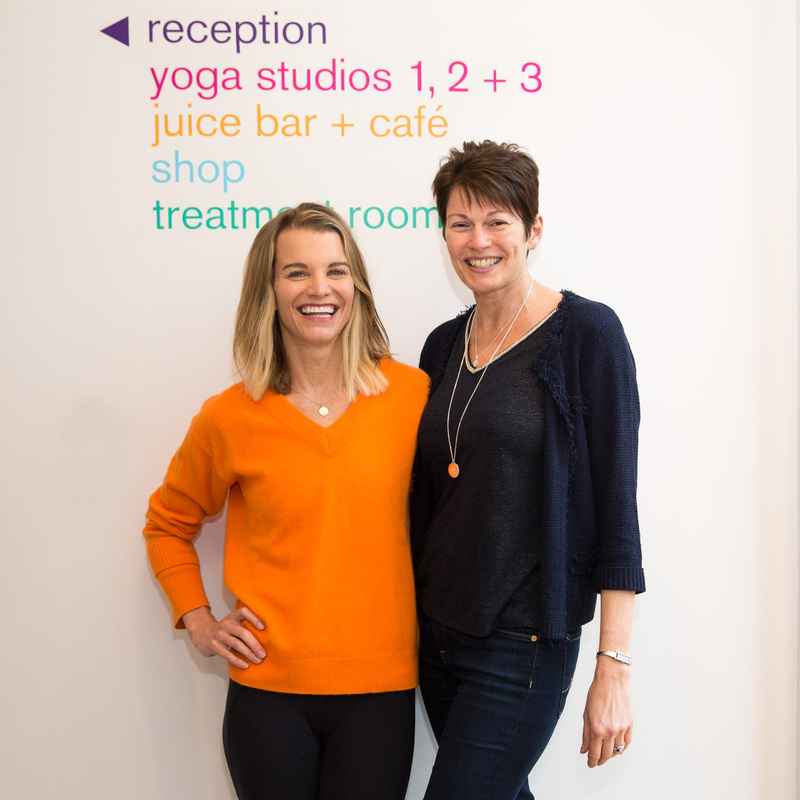 Julie is an absolute powerhouse, with an incredibly busy life as yoga teacher, nutritionist, bestselling author, holistic teacher, Royal Wedding presenter, face of a natural beauty brand, and mum of four. Julie was also recently named one of the Top 10 worldwide ‘Holistic Health Icons’, alongside Ella Woodward, Gabrielle Bernstein and more. Julie has designed two Mantra necklaces with us: 'Recharge' and 'Hero'. The first 20 people to order each get a card signed by Julie herself. Buy 'Recharge' now, or buy 'Hero' here now. Julie's latest book, ‘Recharge’, puts self-care at the heart of caring for others. Her belief and experience are, that we must invest in our own wellbeing, in order to have the energy and ability to care for others. 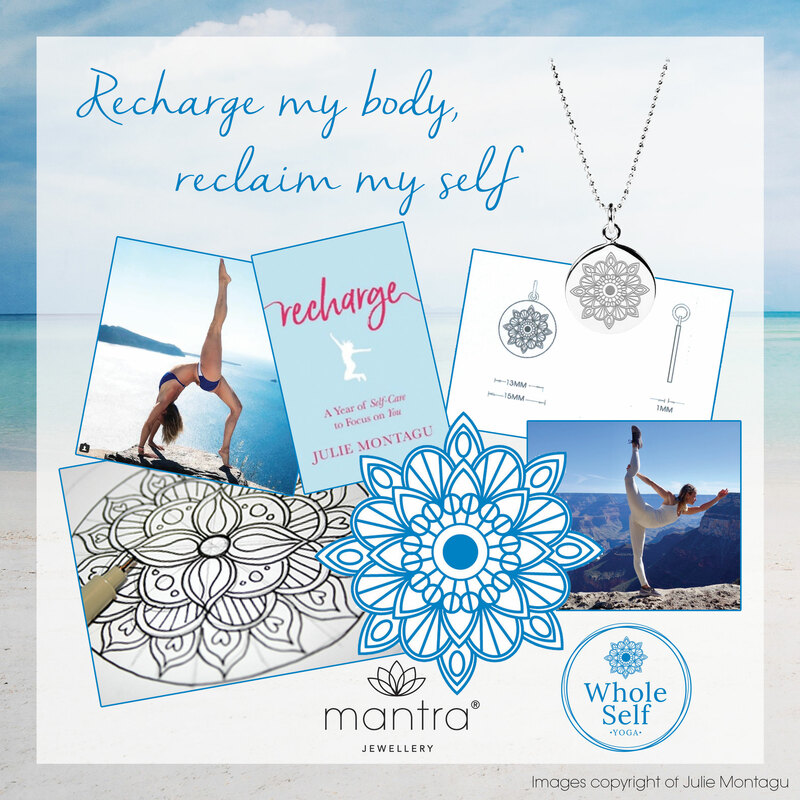 Julie’s mantra is ‘Recharge my body, and reclaim my self’. Her design has her beautiful mandala logo engraved and then cast onto the front. A mandala represents wholeness and completeness, and symbolises your place in the universe. Feel whole, connected and complete, wearing this beautiful mandala, and bringing its message of recharging yourself to mind. The necklace comes in Sterling Silver, or 18ct Rose or Yellow Gold-plated. Our second collaboration with Julie is her ‘Hero’ Necklace, with the word ‘hero’ engraved above our iconic lotus symbol. The mantra, which is very personal to Julie, reminds us that there are times in life when we need to step up and be our own heroes: ’She needed a hero, so that's what she became’. Wearing a piece of Mantra Jewellery is intended as a way of reminding ourselves of an important message - some words of wisdom that we need to remember when busy or stressed. Take hold of your necklace from time to time through the day, and repeat the mantra to yourself - to remind yourself that you are braver than you think. A limited number of each necklace is now available in our pre-launch, before their official launch. The first 20 people to order each get a signed Julie Montagu card with their necklace! Buy 'Recharge' or 'Hero' now.